NINGHAI SANMIN METAL PRODUCTS CO.,LTD. Advantages︰ Besides keeping you upright, trekking poles help establish rhythm, protect your knees from hard downhill jolts, take weight off your legs on the uphill, and add security for river and snow crossings. 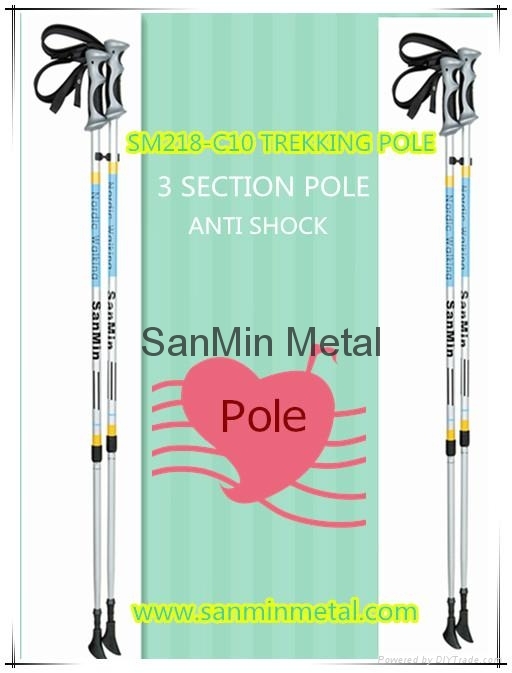 SANMIN’s Trekking Pole accomplishes the above tasks with ease. In addition, it features an ergonomic plastic grip for all-day comfort, and quick adjustment that ranges from 84 cm to 140 cm.